Commonwealth discus finalist Kirsty Law retained her title with 52.87m at the North District Championships at Queens Park, Inverness. 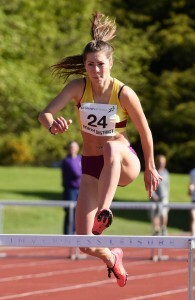 Law, of Sale Harriers Manchester and Inverness Harriers, was three metres down on her second placing effort at the Loughborough International and attributed the difference to technical changes. ‘I’m not long back from the United States training with John Godina who has changed a lot of my technique,’ said Kirsty. 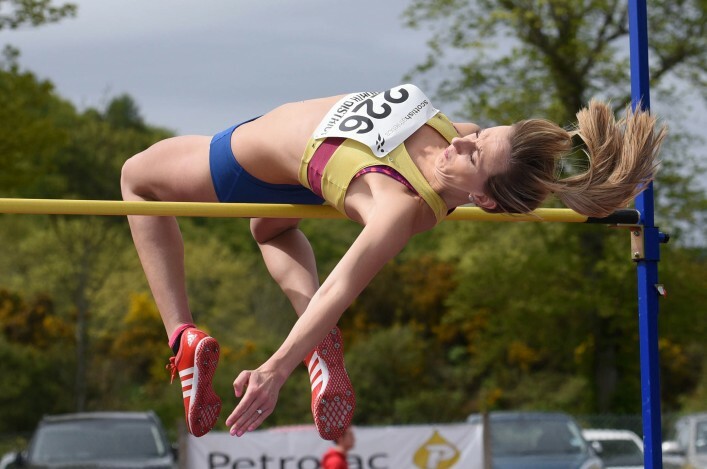 Law’s Glasgow 2014 team mate Rachael MacKenzie (Inverness Harriers) won her 16th consecutive North District high jump title since starting as an under 13 in 2000. She cleared 1.73m before just failing to add 1cm to her championship record of 1.75m. Female athletes produced most of the top performances and Delhi 4 x 400m finalist Kathryn Evans (Edinburgh AC) took the women’s 800m in 2:13.42 for a North Championship best, fighting off a strong challenge from under 20 champion Lucy Massie (Inverness) who improved to 2:15.32. 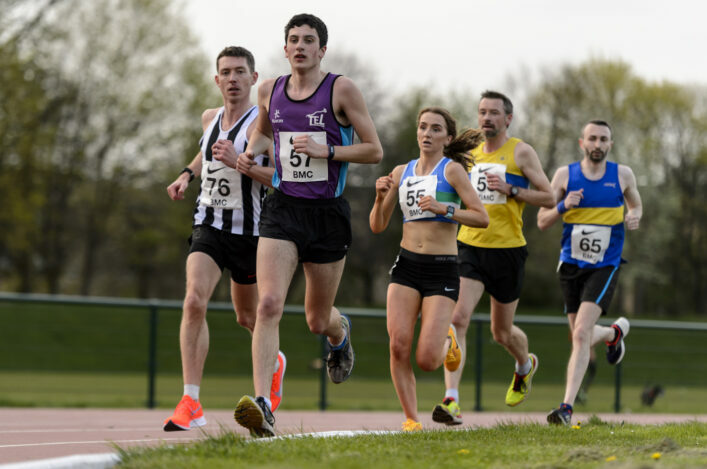 John Newsom (Inverness) took the men’s 5000m in 15:19.71 after an early battle with Kenny Wilson (Moray Roadrunners – 15:37.92). 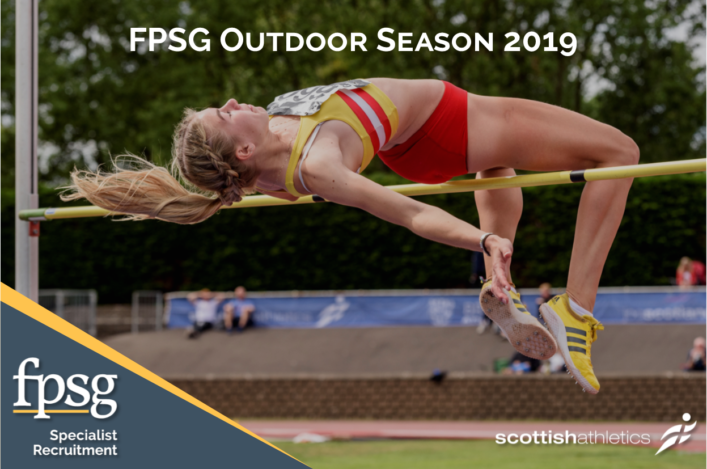 Paula Gass (Edinburgh AC) was near her best in the women’s javelin with a championship record of 43.46m and there was an under 17 record for Mary Flockhart (Inverness Harriers) with 37.97m. 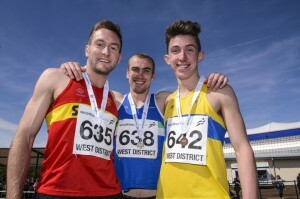 In the same age group Daniel McFarlane (Inverness) set a record of 3.80m in the pole vault while one of the furthest travelled winners, Paul Morrison of North Uist, dipped under 2 minutes for the first time over 800m with 1:59.21. 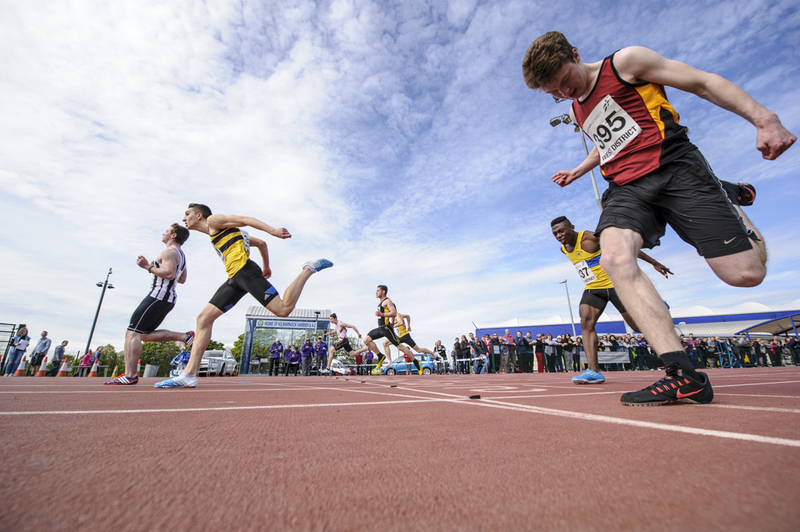 Two Commonwealth Youth Games standards were among the highlights at the West District Champs – as clubs across the region demonstrated a big commitment to competition. Windy and cold conditions on Friday gave way to better weather on the following day, although the wind was still an issue at times. Shettleston Harriers thrower Andrew McLoone came up with a 16.30m shot put effort which is inside the CYG standard for Scotland for Samoa in September. And Giffnock North AC athlete, Rachel Alexander, maintained the good early-season form she had shown in Loughborough with a 5.95m performance to win the U20 Women’s long jump. Alexander jousted with Jess Ennis-Hill the previous week and coach David Watson is delighted with Rachel’s application and attitude. ‘It was pretty windy and that affected things a little bit but 5.95m is another CYG standard and she has a couple for the World Youths in Colombia, as well,’ said David. ‘We are not yet sure how things will pan out, obviously, but I do know Rachel wants to compete at both events if that is possible. ‘She has a very good approach to her athletics and is the best I’ve worked with in terms of performing under pressure. She has shown that on a few occasions, already. Watson was impressed with the U17 Women’s long jump competition which ran along with the U20, as half a dozen girls went beyond 5.15m. ‘That is a decent sign for the event in Scotland in terms of the young women coming through at the moment,’ said the coach from Glasgow School of Sport coach, who had a 1-2-3-4 in the men’s U17 long jump, too. 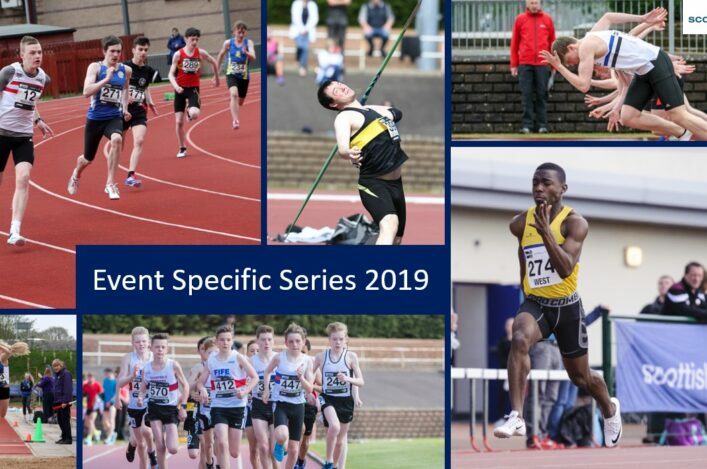 Senior athletes like Rachel Hunter, David Martin, Chloe Lambert, Phillipa Millage, Alastair Campbell and Natalie Sharp picked up golds – with VP-Glasgow’s Martin doing a 200m and 400m double and Lambert celebrating her 21st birthday on Friday with 200m success. Shettleston’s David Martin won the Men’s long jump with 7.03m with Mhairi Hendry, a week on from winning a GB Juniors vest, taking the Women’s 400m title and Nikki Manson the Women’s high jump with 1.70m. Further down the age-groups, it was good to see so many clubs watching athletes make the podium. 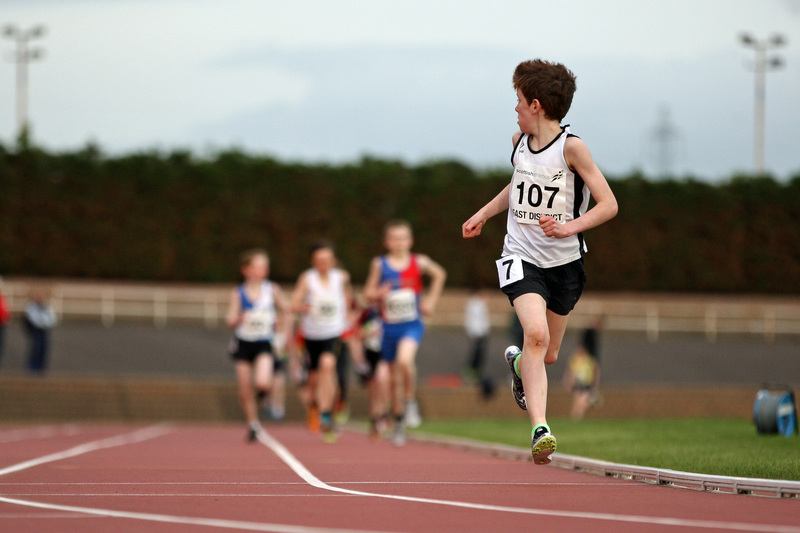 Beyond the ‘usual suspects’ in terms of clubs, there are signs of progress at the likes of event hosts Kilmarnock Harriers, Cumbernauld AAC. Kilbarchan AAC’s Kirsty Costello threw 40.06m in U15 hammer for a British all-time best at U13 level. Gillian Cooke has been such a fixture at the East District Champs that the Scotland Commonwealth Games athlete may well be deserving of a long-service medal. 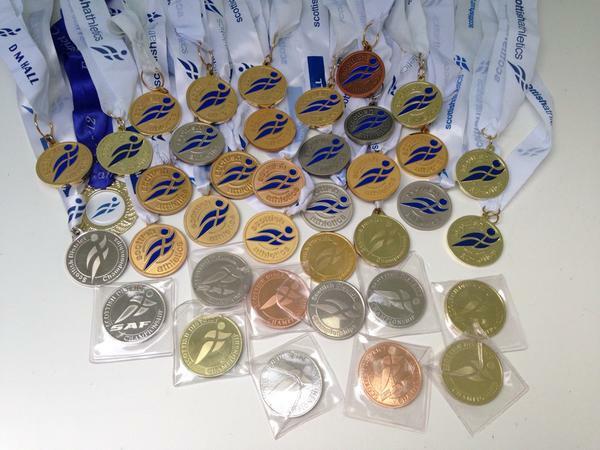 Not that she needs more silverware, however, with the Edinburgh AC athlete picking up long jump and triple jump titles at Grangemouth over the weekend to add to a remarkable haul down the years. 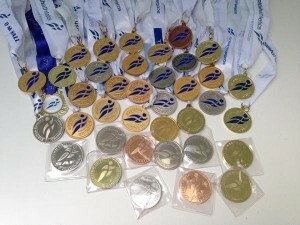 Gillian duly tweeted that she believes she has now won no fewer than 38 East District medals – although it could be more if a couple of ‘unidentified’ medals are actually from that event! Susan McKelvie, Gillian’s Edinburgh AC club-mate, won the women’s hammer but once again there were a number of our younger athletes to the fore, including some of those who were in Loughborough a week earlier. Ben Greenwood front-ran the 800m to clock 1.51.78 to claim his first Senior East title at the age of 16 and off a first lap of around 52 seconds. Selina Henderson, who represented Scotland in 4 x 100m at Loughborough, won the 100m and 200m titles at U20 while Cameron Tindle took the 100m, with 10.78. 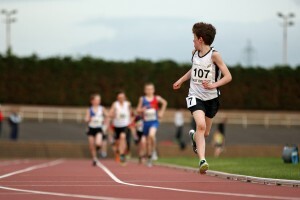 Ewan Dyer claimed the 400m title with a PB of 49.53. Zoey Clark has been in fine form recently and the BUCS medallist won the senior 400m with 53.76 while Stephie Pennycook, a Scotland debutant at Loughborough, won the 800m. Alisha Rees headed 100m winner Kathryn Christie in the 200m. 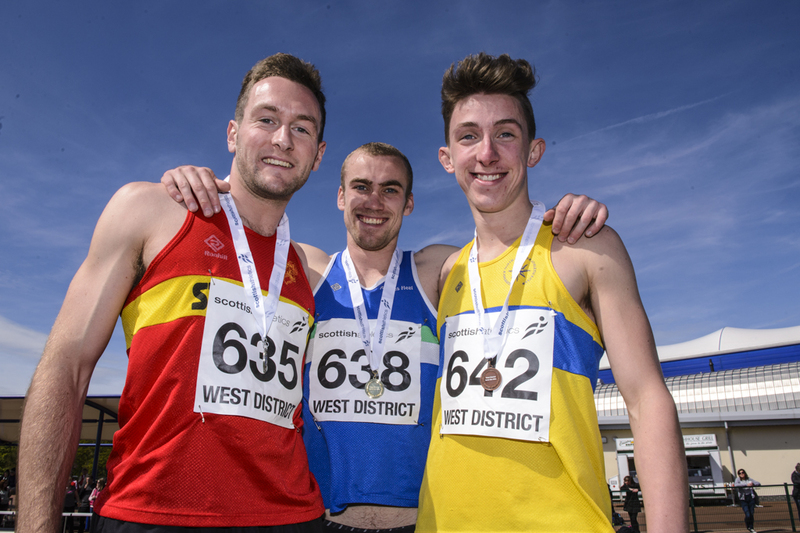 * All at scottishathletics would like to thank Steve (East), Bobby Gavin (West) and Phil Downie (North) for supplying some superb photographic images from the District Champs.